← Did the Mysterious Mr. Mullen Become Pescadero’s Richest Man? 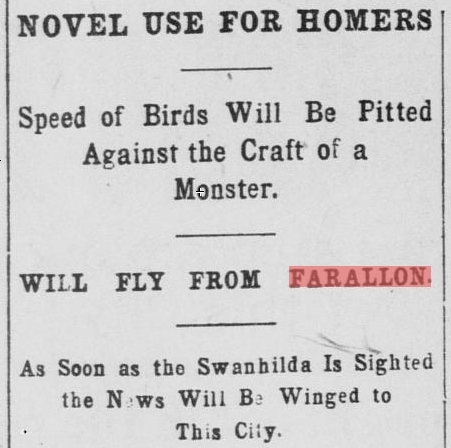 Speed of Birds Will be Pitted Against the Craft of a Monster. This entry was posted in Edward Mullen, John Vonderlin and tagged John Vonderlin, Pigeon Point. Bookmark the permalink.